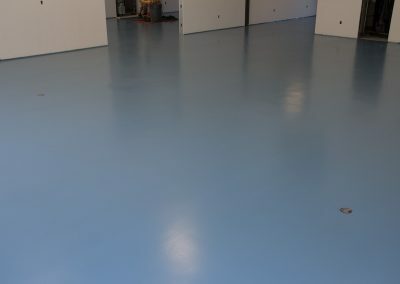 Epoxy flooring is one of several seamless, resinous flooring options we offer, and our most popular. It is also the origin of our long-standing success and growth. It is both where we began and where we excel. 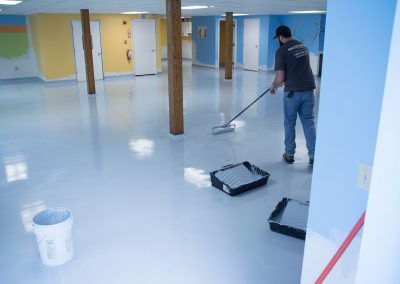 Epoxy flooring is often referred to as safety flooring, and it is what we do best. 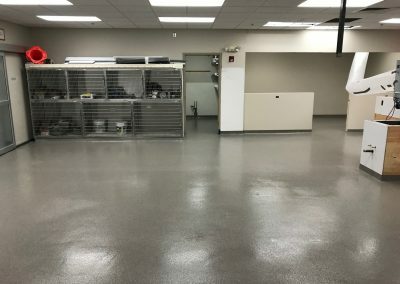 Epoxy flooring provides a safe, non-slip surface in demanding, high traffic commercial areas such as commercial kitchens, industrial warehousing or manufacturing facilities. 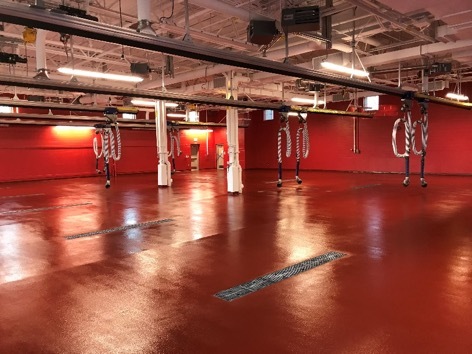 Epoxy flooring is seamless; creating a spill resistant, stain resistant, impermeable leak-proof surface that protects concrete underlayment and surrounding groundwater. It is environmentally friendly. 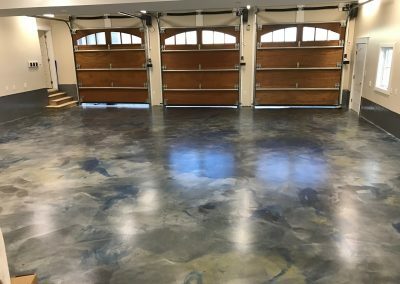 It’s an ideal concrete coating solution that protects floors from dust, dirt, chemicals and traffic, while requiring little, if any maintenance. 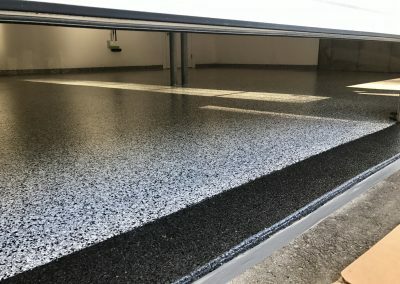 The unique chemical properties of an epoxy floor allow it to offer impact, fire, chemical, and thermal shock resistance. 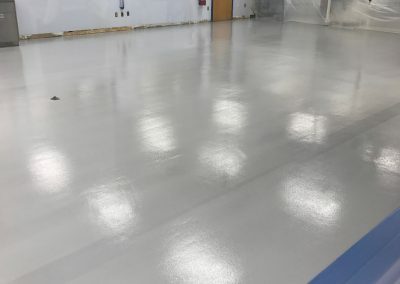 Epoxy flooring is impact resistant and slip resistant even when wet, making it a good choice for production lines, loading bays, poolside, or areas with high foot traffic. 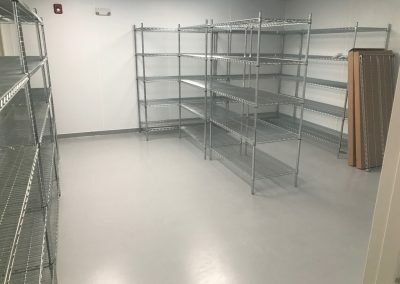 It is fire resistant and chemical resistant, so can withstand the heavy demands of fire escape routes, clean rooms, hospitals and clinics, or aircraft hangers. 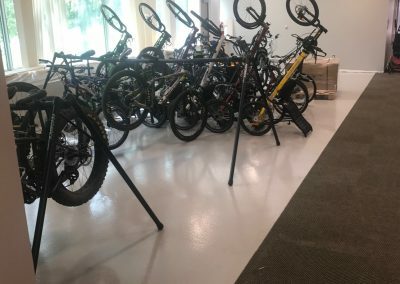 Choose from solid finish, flake flooring (aka chip flooring), quartz flooring or metallic epoxy flooring to create the look and texture you prefer. Light flooring colors reflect room lighting to further illuminate an area, adding increased brightness. 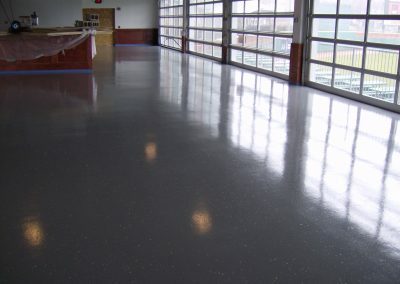 Integral epoxy cove base is hand applied for an ultimate seamless surface. We are authorities in flooring. 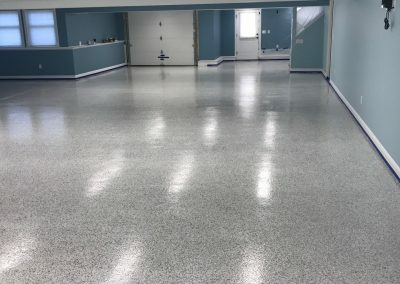 Our team of resinous epoxy flooring experts will manage your project from start to finish to ensure the job is done right. 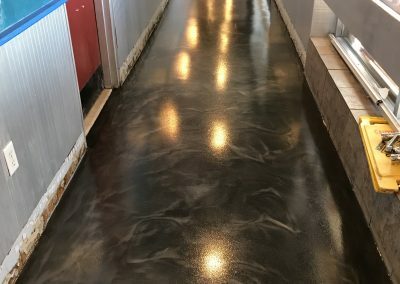 If needed, we start with existing flooring removal and shot blasting to remove debris. Grinding further prepares the concrete surface for epoxy flooring installation. 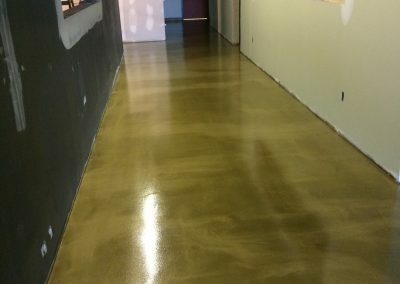 Moisture mitigation prevents destructive dampness to concrete surfaces. 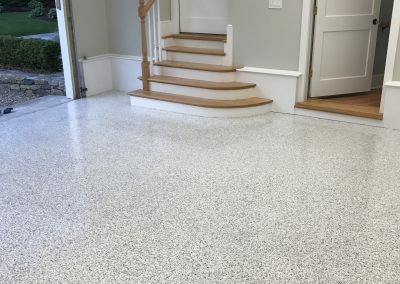 Leveling surfaces in preparation for tile, stone or wood can be performed independently or integrally be accomplished as part of the epoxy floor installation.